This is a SRAM BlackBox GXP Ceramic Road or Mountain Bottom Bracket. 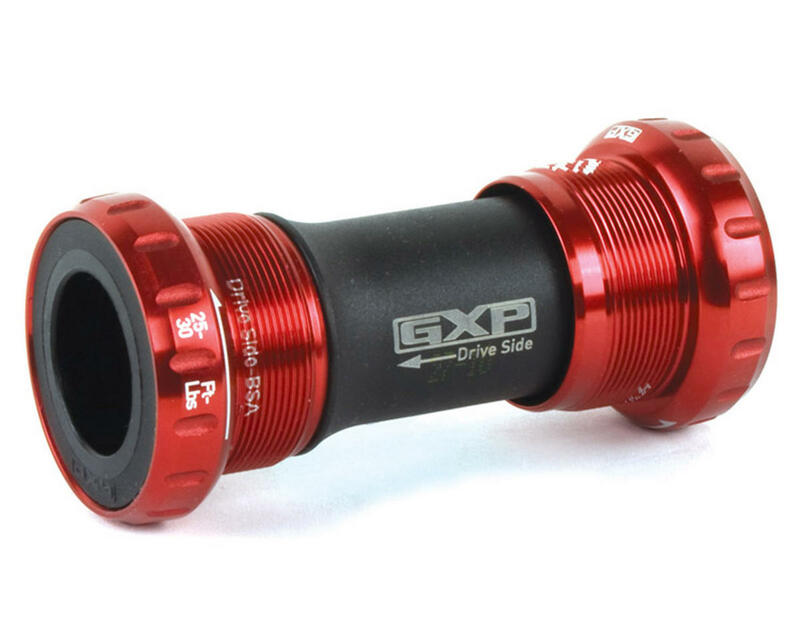 The Blackbox GXP bottom bracket is a high performance, external bearing bottom bracket. The GXP system captures the left side bearing between the spindle and the left crankarm while allowing the drive-side bearing to float axially on the spindle, thereby eliminating the necessity to side-load bearings during adjustment. The simplicity of installation is refined: once it is tightened to the proper specifications you are ready to roll with a worry free BB. The GXP system uses two bicycle specific cartridge bearings and eight seals for a smooth and long lasting ride and SRAM’s gutter seal technology drastically improves sealing against the elements while reducing seal drag. An external bearing system with 3D forged, heat treated and CNC'd 24mm OD CroMoly spindle integrated with right crank arm; custom cartridge bearings with eight seals and CNC'd alloy cups.